A small town of about 5000 people situated between the Shenandoah and George Washington National Parks in Virginia, USA. 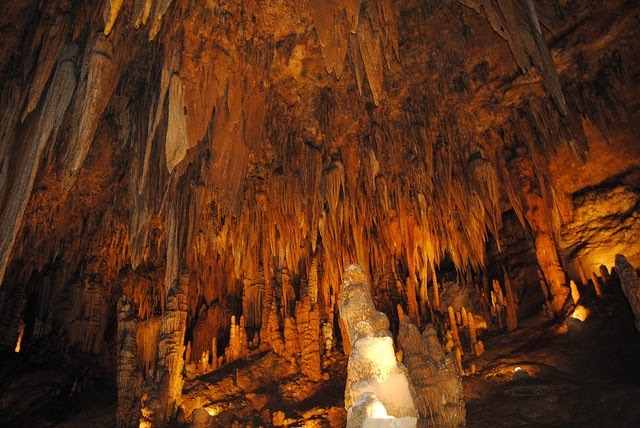 To see the incredible Luray Caverns. Because it's a fantastic base for hiking. And there's some surprisingly good BBQ! Part of Page County, VA. About an hour and a half drive west of Washington, DC. Map. 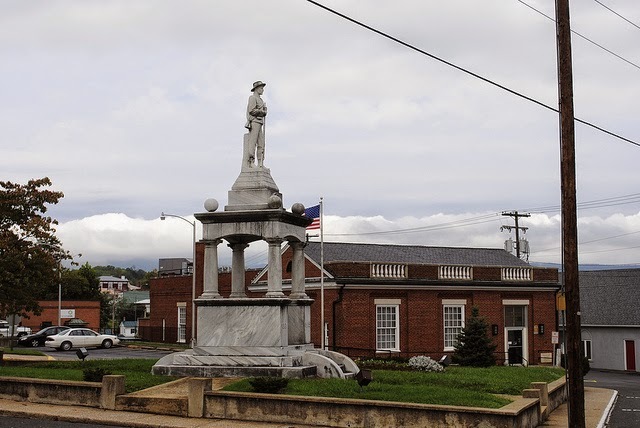 LURAY IS A very small and especially quiet town with one main street and handful of restaurants. You certainly won’t be checking anything off your bucket list here, but it is perfect if you want to be a fly on the wall of country town USA and to interact with some locals who have not been turned cynical from tourists. It is a much welcome break from the big cities to the north-east, which are incredible to visit, but can also be exceedingly stressful and busy when ensuring you see everything you need to before the clock runs out. 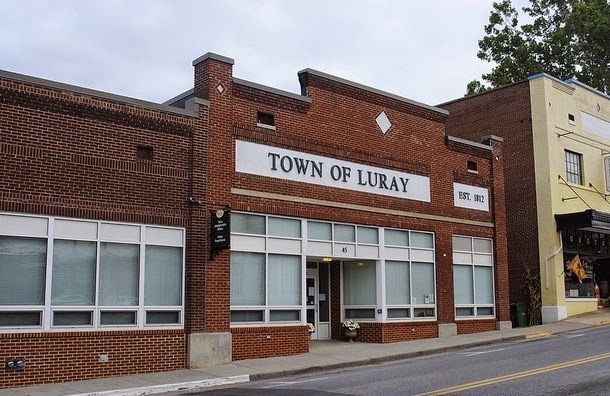 Luray removes this pressure and allows you to be on country time in a relaxed atmosphere. 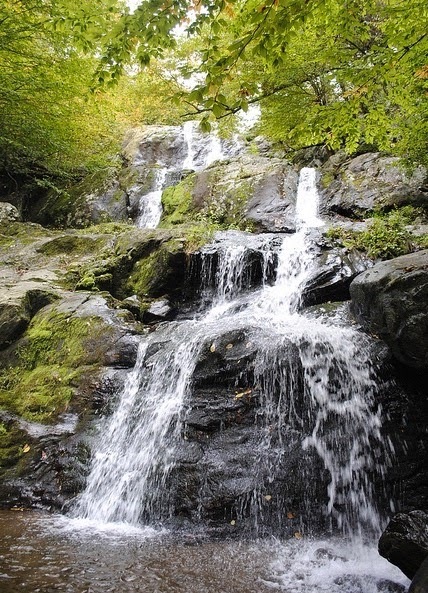 Luray also serves as a fantastic base for some hiking throughout the Shenandoah and Washington National Forests, as they are both very short driving distances away. In fact, the Appalachian Trail leads directly through Shenandoah, giving the opportunity for endless hikes of any length and difficulty. The hikes are also quite varied and can either take you deep into the forest, to waterfalls, or to vistas of the reasonably flat mid west. 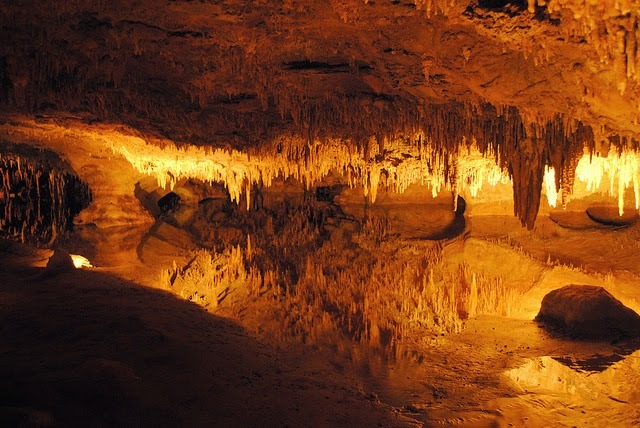 Luray is home to the Luray Caverns: an immense cave filled with stalactites, stalagmites, the odd pool and one enormous organ. The organ is in fact the biggest musical instrument in the world and gets its sound from tapping on various columns to create a sound in a similar way a piano or organ would. It is situated in the largest cave area in the cavern system and is easily the highlight. The song - played automatically, though has actual piano keys) reverberates through the caverns creating a beautiful and majestic sound. This would actually be an incredible spot for a wedding - an occasion which I’m sure has occurred previously. 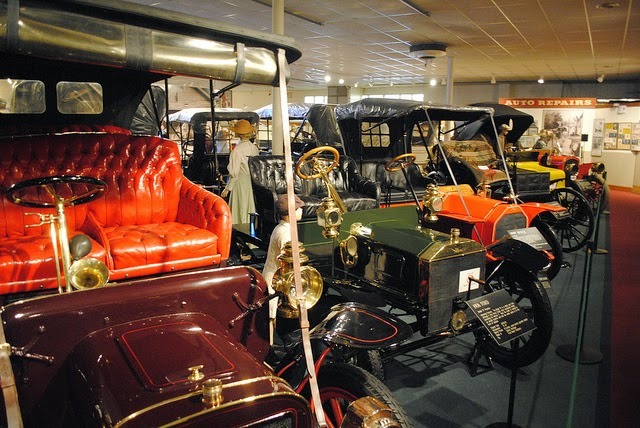 Across the road from the Luray Caverns (and conveniently included in your ticket) is the Luray Car and Carriage Museum. Despite being an extremely random sight it was very cool to see some very old vintage cars that had been restored to their former glory. It was completely unexpected and something you’d never read about in a guidebook. I don’t think I’ve ever seen more vintage cars in one place so even if you’re not a car nerd (I’m not!) 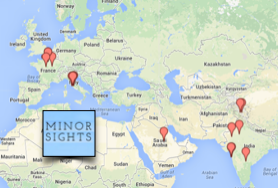 it is still an enjoyable walkthrough admiring the passion of the curator and contributors. One surprise is that Luray boasts some very good BBQ. Namely, at Uncle Buck’s Family Restaurant. Being located right on the main street made it easy to find and I am still yet to find ribs and wings that will rival it. Except of course, for when we dined there the second night in a row. Obviously visiting Luray won’t be everyone’s cup of tea, but the most attractive aspect of the small town is it is a breath of fresh air (figuratively and literally) from the big city. It’s relaxed, it’s innocent and it’s friendly. My friends and I had hired a car to drive around the midwest and I cannot imagine getting to Luray any other way. With an idea and a GPS you can go anywhere and this is exactly what we did. It is highway driving most of the way but of course it does get hilly as you begin driving through the beautiful mountains. Luke Durbin is author of the website Anti Travel Guides, where he writes about his love for finding unique and uncommon attractions in popular cities, and learning about a city from a local’s perspective. Luke published his first travel guide on Amazon in November and a second is already in the works. You can find him on Facebook and Twitter for regular updates.